The area´s main interest for tourists is to experience the culture and natural environment of Uzbekistan not found in the established tourist cities of Samarkand, Bukhara, Khiva, etc. Its favorable geographical location on-route to Samarkand, Bukhara, and Tashkent makes the Nuratau-Kyzylkum area an attractive tourism destination. From each of these cities it can be reached in 3-4 hours. Additionally, not far away from the guesthouses in the Nuratau Mountains there are several popular yurt camps in the Kyzylkum desert close to the Lake Aydar. Excursions to these places can be combined with a visit to the guesthouses in the Nuratau range. All this provides a perfect opportunity to diversify and broaden the classic ancient city holiday experience in Uzbekistan. Those with particular interest in wildlife will appreciate the wide natural diversity of the area. An important tourist attraction is the opportunity to view the endemic and highly endangered Severtzov’s Argali (Kyzylkum wild sheep). Bird watchers will find a wide range of bird species inhabiting the Nuratau-Kyzylkum area and the wetlands of Lake Aydar (link to bird check list). 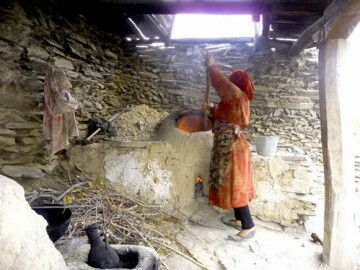 The unusual local lifestyle provides a unique opportunity to experience everyday life and the hospitality of the rural Tajik and Uzbek population. Tourists can stay in traditional houses built out of local rocks, sleep on tapchans in the gardens and discover traditional water-mills and ancient handicraft. They will have a chance not only to watch, but also to take part in spinning and weaving processes or in the production of colorful felt-carpets. In spring many households rear silk worms for sale and produce raw silk on a small scale. In the Nuratau-Kyzylkum area Uzbek, Tajik, Kazakh, Russian and other nationalities live together peacefully. Independent of their ethnicity the region’s population is famous for its hospitality. On their way through the villages visitors will repeatedly be invited to join meals or tea with local families. Popular traditional dishes are fried lamb, plov, mutton soup and refreshing sour milk drinks. Tourists have a chance to eat mulberries, cherries, apricots, peaches, grapes, pistachios, almonds, walnuts and many more straight from the tree. Intensive sunshine and fresh spring water give locally cultivated tomatoes, cucumber, pepper and herbs a unique taste. The territory has been certified by international organizations as a supply area for organic food. In early spring and late autumn, Kupkari becomes a part of village life. The Uzbek name Kupkari literally means “work of many people”. The game is also known as Ulak and called Kozlodran’ye in Russian. 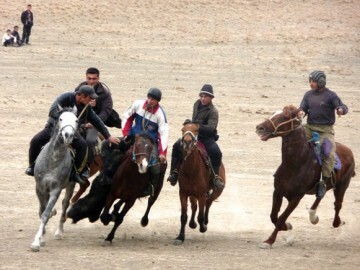 Kupkari is the most popular type of equestrian sport, not only among Tajiks and Uzbeks, but also among other neighboring nations such as Kazakhs, Kyrgyz’s, Afghans, Karakalpaks and Turkmens. Every nation calls the game differently. However, despite minor differences the goal of the game is the same: to gain and deliver a dead goat to a target area. The most crowded Kupkari competitions are usually held during weddings. Traditionally weddings mainly take place in late autumn (after the harvesting) or in early spring (before the major agricultural works). Guests come from nearby villages as well as from remote areas. Camels, horses, bulls, goats, carpets, cuts of fabrics, money, household items or even cars are used as prizes for the winners. The rules of the game are simple: The riders have to pick up a dead goat, defend it against other players and take it to a target area. The game is very archaic and there are only few regulations – for example, it is not allowed to ride towards the audience and observers are not allowed to assist the participants to pick up the goat. Also pulling riders off the horse and pulling away the goat behind of the rider are not allowed. 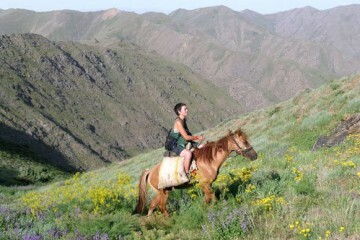 The Nuratau Mountains can be explored by hiking as well as on donkey or horseback. 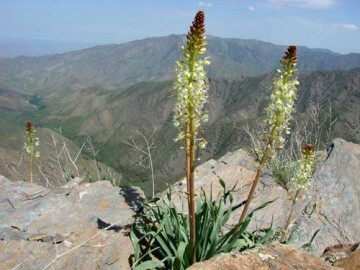 The diversity of the area offers opportunities for several day tours of different levels of difficulty (from easy to medium). Various natural and cultural sites of interest can be visited such as ancient rock drawings, ruins of mosques, fortresses and houses. Local guides tell fascinating stories about the villages’ history, including myths related to Alexander the Great. Once you have seen all the gigantic mosques and mausoleums Uzbekistan has to offer, you should let all your impressions settle and relax in one of the guesthouses in the Nuratau Mountains.